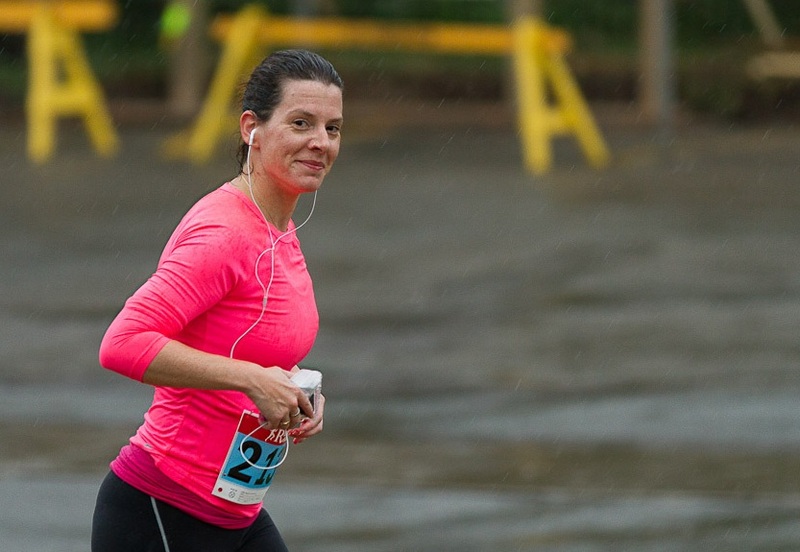 Eleni Ryan of Fredericton races during the Liv9 Fredericton Fall Classic last month. Her time was more than 12 minutes faster than her first appearance in the race in 2011. Photo Credit: Mark Kirby. Her running career started innocently enough, after hearing positive accounts from a friend who had participated in a number of local races. For Eleni Ryan, the Clifton native who moved to Fredericton 20 years ago, the sport became an intriguing but distant thought after those conversations in 2010. 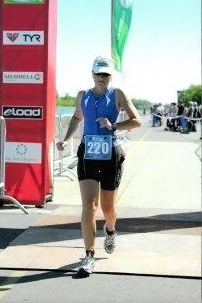 Carla Harris started running at age 40 and became hooked, competing in many distances and has branched out to triathlons as well. This is the third in a series of stories featuring athletes who will take part in Marathon by the Sea. Carla Harris has generally been active all her life but did not start running until she was in her 40s. That leap was inspired, in part, by volunteering at a water station during one edition of Marathon by the Sea. There, she witnessed the determination of the competitors and felt if older runners could tackle the course, so could she. It changed her life. What follows is her story of her impressive progress, extensive competition and her journey into the triathlon disciplines as well. I have been running for about 15 years but was a late starter at the age of 40. I am now 56 years old. I was pretty active as a kid, running a little, broad-jumping and I remember how much I liked being outside. Once I competed in a junior high school running relay team where I got a ribbon. 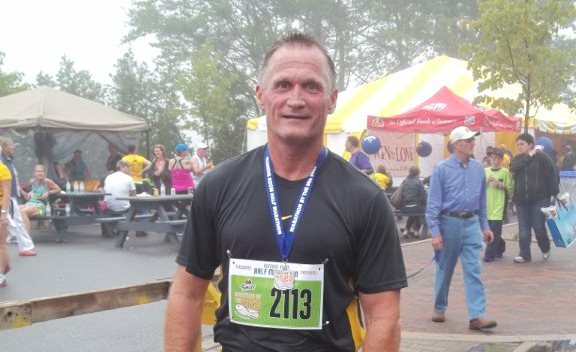 Gary Keating of Saint John will compete in the half marathon Sunday at the Marathon by the Sea, marking the 19th consecutive year he has participated in the event. He credits a newspaper story for sparking his initial interest. 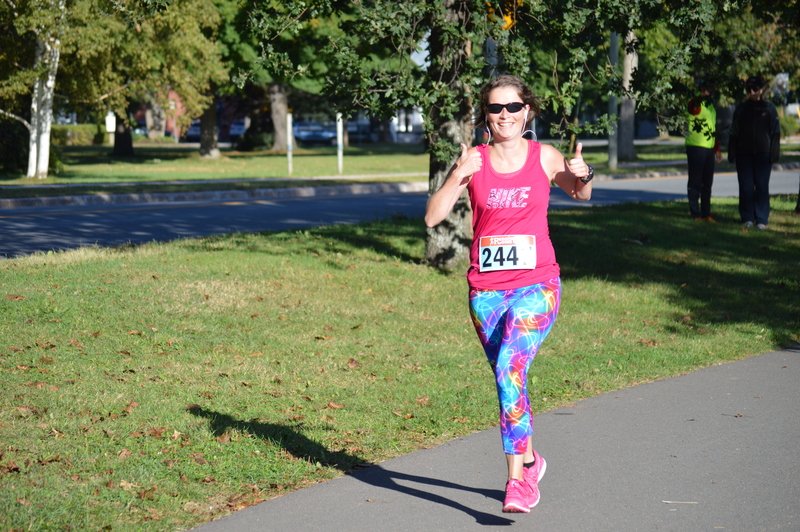 This is the 22nd story in a series profiling runners who will compete in the 20th anniversary running of Emera Marathon By the Sea Marathon in Saint John on Sunday. The stories are also running on the MBTS Facebook page and MBTS website. These days, Gary Keating might be better known in his run for public office. But the truth is, he’s been running for a long time. In fact, he ran in Marathon by the Sea long before he became principal at Simonds High School, a post he continues to hold today.